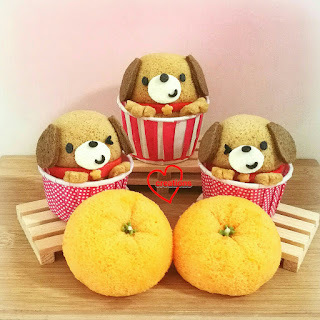 My first bake of the new year and since it's the Year of the Dog, I made some cupcake doggies along with chiffon Mandarin oranges! I was curious to know if Ah Mah sponge cakes can be shaped and worked with like regular chiffon sponges so I decided to experiment with it and was pleasantly surprised! Afterall, Ah Mah sponge cakes are nothing more than cooked dough chiffon cakes with the same number of egg yolks and whites used. I have baked large coconut Gula Melaka Ah Mah cakes on two occasions and both times it was very well received. You may find the recipe here. Since the Gula melaka cake has a natural warm light brown colour, I decided to use the same recipe (with minor tweaks) as the doggie body base. I will focus on how the doggies are made in the post. 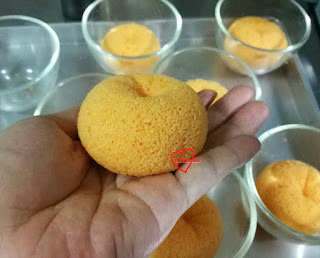 I have made the chiffon Mandarin oranges every year since I came up with it in 2014 so this is the fifth consecutive year that I am making these babies. 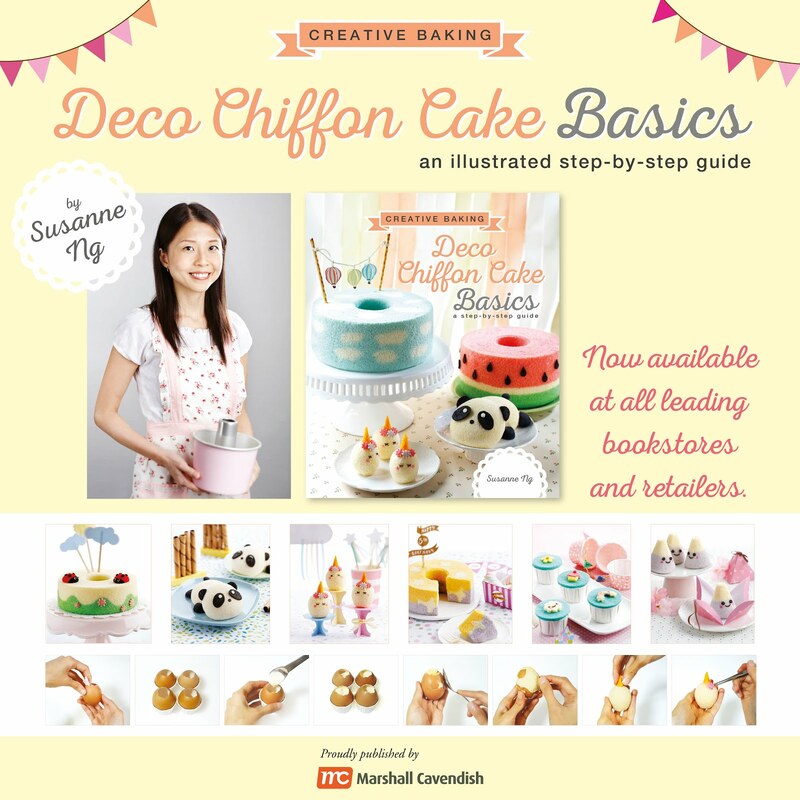 You may refer to this post for the video tutorial on how to make the oranges. Do note that I updated the method of shaping the oranges to make them look neater last year. 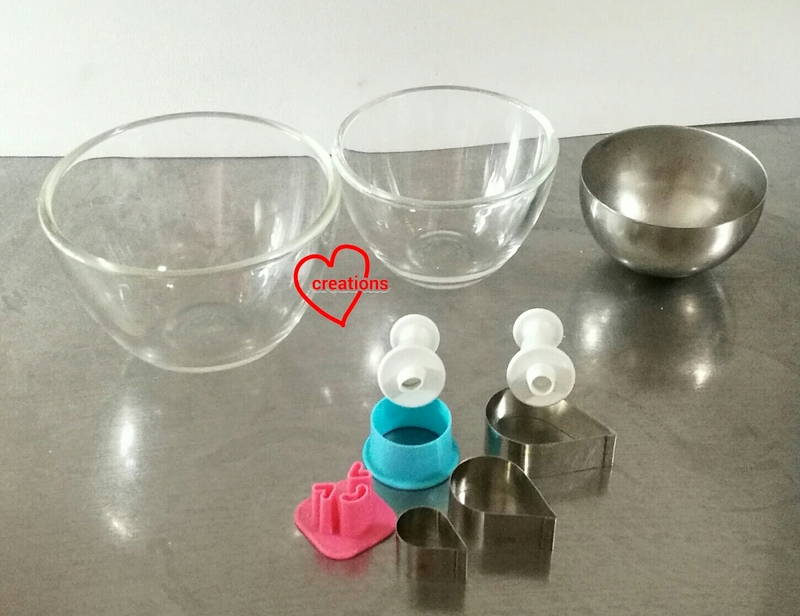 The number of doggies depends on the size of cupcake cases and size of the hemispherical moulds you use to bake the cakes. 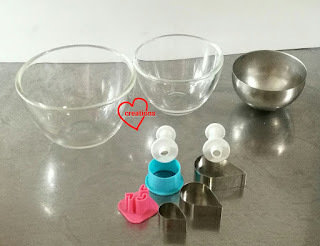 You may use silicone moulds or eggshells to bake if you don't have the glass or metal moulds on hand. Just make sure you remove the inner membrane of the eggshells before baking in it. In my actual bake, I separated the bake into two rounds of baking instead of the one round I am sharing here for your convenience. I baked the coloured thin layer cake another day, froze it and defrosted it when I was ready to assemble. You may also choose to separate the bake if you find it easier to manage. Here are the moulds and shape cutters I used to create the doggies. Glass moulds have outer diameter of 8.5cm and 7cm. Metal hemispherical mould has outer diameter of 6cm. I used a 44x35mm cupcake case for the smaller dog and 50x40mm cupcake case for the larger dog. 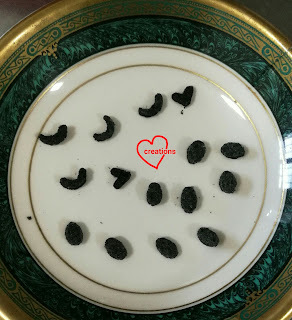 The recipe I am going to share is slightly different from the original one I posted in November last year as this version has more Gula Melaka. I wanted to make a more stable meringue so I chose to use 12g of Gula Melaka per egg instead of 11g. 1. Line a small baking tray with baking paper. I don't specify a size here as you just need to make a very thin layer cake of different colours for the body parts (ears, snout, paws) and collar. 8x8" tray should be sufficient. Larger tray is also fine. Preheat oven to 150℃ and set oven rack to lowest position. You may place a tray of water at base of oven if you wish to steam bake. 3. Gradually add in coconut cream and salt and whisk until well combined. Mixture will be very thick so use an electric mixer if you need to. Add one yolk at a time and whisk until well combined. 4. In small mixing bowls, portion out 2 tsp of egg yolk batter for dark brown, 1 tsp for black, 1 tsp for white and 2 tsp for red. Add the respective colouring to the portioned batter and mix well. The red yeast powder is for red colour. 5. Make the meringue. Use an electric mixer to beat egg whites with cream of tartar until firm peaks form, gradually adding Gula Melaka along the way. 6. Quickly but gently fold in two leveled tbs of meringue for every tsp of yolk batter. Fold the remaining meringue into the main batter in three additions. Fill the hemispherical moulds till about 80% full. Carefully spoon out the different coloured batters on the baking tray and level it with the back of the spoon to form a thin layer. Remember to spoon out some light brown batter on the tray too for the paws. The red coloured portion should be a long strip as the collar is a long and narrow rectangle cutout. 7. Bake the layer cake for 10min or until baked through. Immediately remove from baking tray and cool with another baking sheet over it. Reduce temperature to 135℃ and bake the hemispherical cakes until skewer comes out clean. Baking time depends on your oven and whether steam baking was used (I did) so use mine only as a reference. I baked the smallest cake for 35min, medium sized cake for 40min and largest cake for 45min. Cool the cakes completely in the moulds before gently unmoulding by hand. 8. 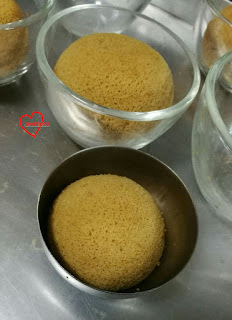 Shape the hemispherical cakes by inverting them back into the moulds they were baked in. This will give it a nice rounded bottom. Let it sit in that position for at least 15-20 min. 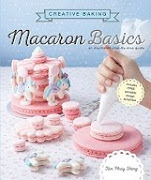 In the mean time, cut out the various parts from layer cake using shape cutters or knife/ bench scraper. I made the pendant on the collar from flower shaped sprinkles that had been spray painted with gold paint. Prepare marshmellow glue by melting marshmellows with a sprinkling of water. 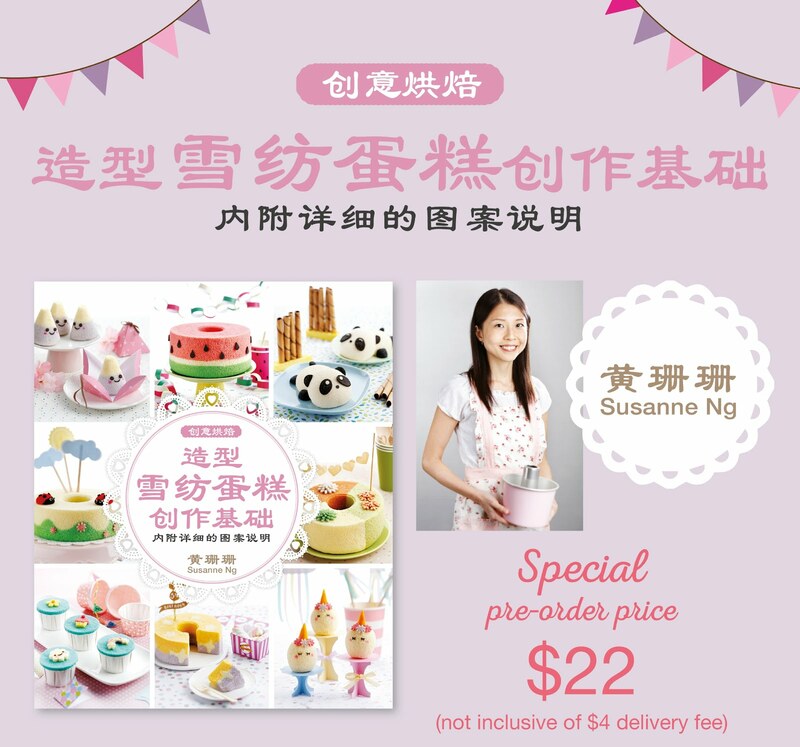 Place the largest cake as the body inside the 50x40mm cupcake case and the medium sized cake as the body inside the 44x35mm cupcake case. Insert 2 toothpicks in the body to act as dowels. Attach the head on. The head is one cake size smaller than the body. Glue on the collar and pendant, followed by the paws. Use a small fruit knife to cut the toes on the paws. Attach the parts on the face. Almost done! Without the ears, hubby says it looks like a mole! 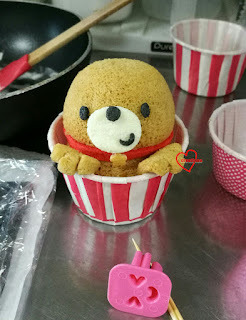 Brush on a bit of sugar syrup to keep the cake moist (dissolve 10g sugar in 20g hot water). And you are done! Store in the fridge in airtight condition. The cake can keep for a few days. The "Mandarin oranges" before adding details of the stem. Have a blessed Year of the Dog! hi do u have any steps fro the mandarin orange shapes? I have included a few links for the Mandarin oranges in this blog post. 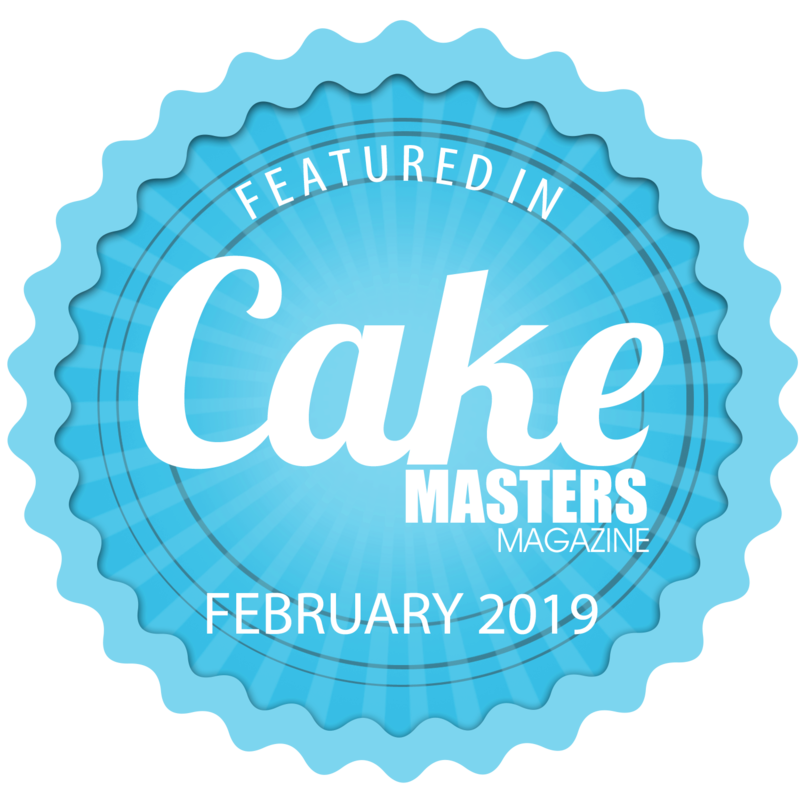 My first Mandarin orange chiffon, a post with video tutorial for shaping the oranges and a post for an update on shaping the oranges. I would like to try this recipe but I am not sure about the charcoal in the ingredients list. Could there be a substitute? Hi, thanks for the idea. 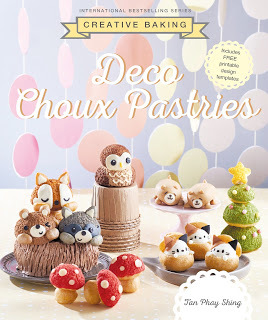 would love to bake for the coming cny. 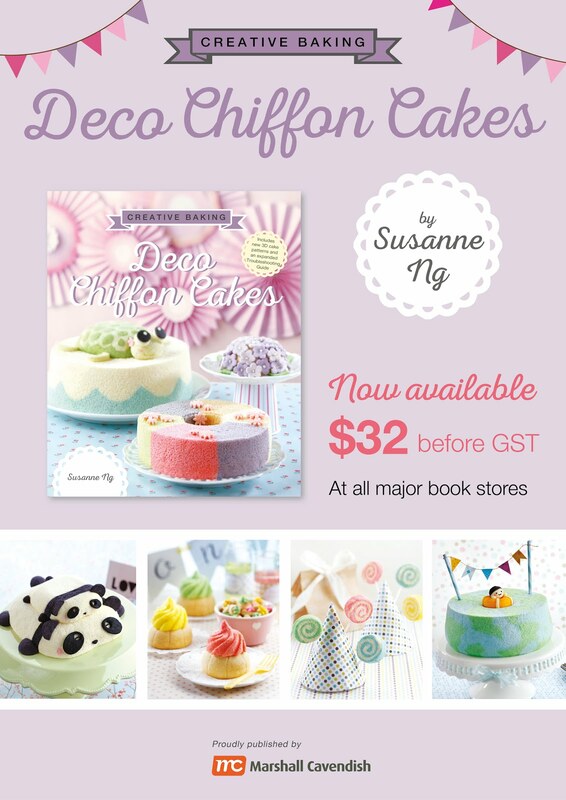 may i ask how long in advance can i bake these cuppies? 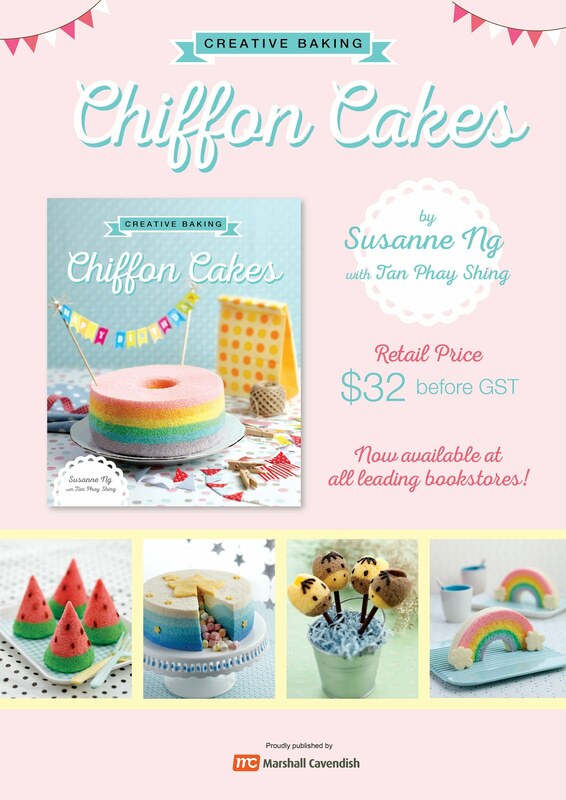 Hello I would like to enquire about buying these cute chiffon cake, can we order it? 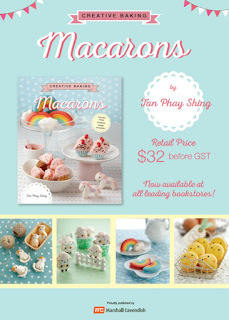 thanks Phay...Your work really amazing..i always like your macaron..so beautiful..but mine always failed to make it..hahaha..dont know why..
refer back to point no.8 question..after the cake cool down I put it back to sit in the bowl it still can shape? or I need unmould it while it still warm? really miracle.wan testing already..